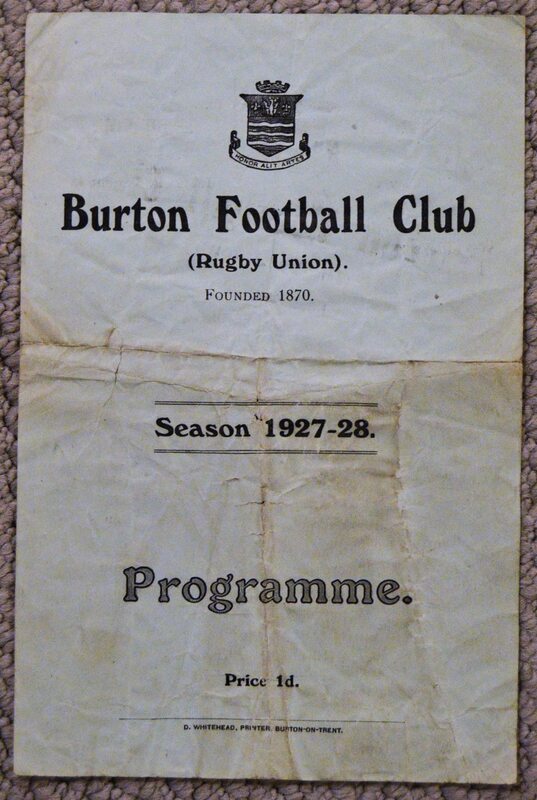 1927-8 Burton RFC v South Wales Borderers Rugby Programme: Blue creased and marked 1d. 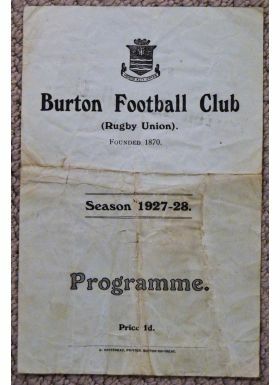 single sheet for this early issue from a special game against a military side often noted for its rugby success. Tea was 2d. a cup!